According to National Recreation & Park Association (NRPA) figures, local governments spend about $76 per resident on park and recreation services each year. Talk about return on investment! Whether maintaining an existing park or building an innovative new playground from the ground up, parks and recreation administrators deliver a tremendous service for a relatively small cost. Most towns and cities get their revenue from property taxes, sales taxes, and state and federal funding, and in many areas all three of these sources seem to be drying up. While local government budgets are tighter in some years than others, somehow parks and recreation concerns almost always get shoved aside when public safety, education, and transportation expenditures receive top priority. Budget-setting officials often see parks funding as more discretionary than other local government provided services. During economic downturns, local government investments in parks decline disproportionately to other governmental services. Government services always compete for their share of the pie, forcing local officials to make difficult fiscal trade-offs even when the municipal finances seem to be in good shape. While park advocacy groups are getting creative, they’re also making sure city administrators and finance directors understand the ways parks and playgrounds contribute to their community’s economic development. Cities and towns want to attract business development – especially established businesses that are expanding to new areas. Company leaders, for their part, want to come to cities where the quality of life will attract and retain highly educated and motivated employees. Quality of life includes low crime and good schools. It also includes parks, bike trails, and other infrastructure that promotes healthy living. Sure, the “bottom line” (profits) may be top-of-mind for business leaders, but evidence also suggests that companies are placing importance on recreational opportunities for their workers’ families. In an increasingly competitive environment where multiple companies offer similar salaries, a job seeker’s decision about where to work might hinge the quality of life where their prospective employer is located. That’s why today’s business leaders demand outdoor activities to enhance the quality of life for their employees when they are deciding where to open up shop or move their operations. As the following chart shows, Colorado Springs is fairly typical in its number of park playgrounds and its number of playgrounds per 10,000 residents. Playgrounds per 10,000 residents, courtesy of The Trust for Public Land. Park playgrounds do not include school playgrounds. As an advocate for parks and playgrounds, there are a few things you can do to make sure play areas get prioritized appropriately when it comes to funding from local government officials. Tailor your messages and presentation to provide evidence about how parks and playgrounds attract new business development. Build relationships with business development groups such as chambers of commerce and trade unions. If you manage a community resource where meetings can be held, serve as an active partner in their activities by offering to host their meetings and events, for example. Identifying opportunities to stimulate community efforts to attract and retain businesses could be an effective way to increase its stature in the eyes of local government officials. To this end, NRPA has commissioned both an update to the Economic Value of Local Parks study and a new research project that will enumerate how parks and recreation is an economic development tool for the community. Look for these resources in early 2018. Find data specific to your state about the economic impact of local parks. Share this information with your city council and other stakeholders. Use other municipalities as a guide on how to go about this. For example, The City of Columbia, MO has conducted extensive research into the ways parks and playgrounds benefit the area economically as well as culturally. 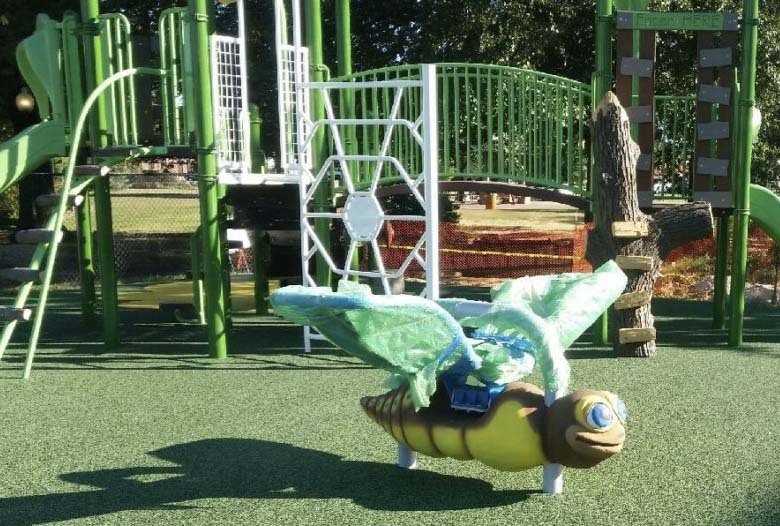 Give us a call at 1-800-232-7766 for details about how No Fault Safety Surface and our other playground surfacing products can make your park playground projects safer and more attractive.